Looking for an insanely cheap laptop from one of the top name developers that is actually worth more than you pay? 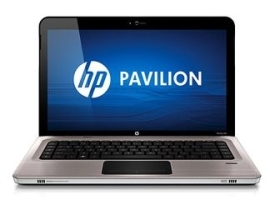 Then look no further than Newegg.com as the popular technology retailer site has a refurbished HP Pavilion DV6-325WM 15.6″ laptop for only $399.99 shipped! That’s right, you get a brand name, 15.6″ laptop for under $400! However, like every deal, this one has its pros and cons. While the device does have a triple-core processor and a built-in Blu-ray drive, it only comes with a 90-day warranty from HP. In addition to that, the screen has a native resolution of only 1,366 x 768, equivalent to 720p HD as opposed to full 1080p, and some of that Blu-ray power is wasted, especially if you are planning on watching movies on the go. What may brighten the deal is that many tech gurus consider full 1080p HD overkill for a screen of this size, which should sweeten the deal. The Pavilion also, thankfully, has an HDMI output, allowing you to connect the device to an HDTV and enjoy full 1080p Blu-ray glory if you really want to. Powering this device is a 2GHz AMD Phenom II P680 triple-core processor while the device also contains 4GB of RAM and a 500GB hard drive all in a package that weighs just around 5.5 pounds. The better processor Blu-ray drive and screen size is basically what you are paying a little extra for with this device as you can find extremely similar products (with smaller screens, dual-core processor and DVD drive) for $100 cheaper. Whether or not this device is worth it for you depends on your computing needs, like every other computer out there. You could always wait around for a better refurbished deal, as they are sure to come, though that may keep you waiting around forever.